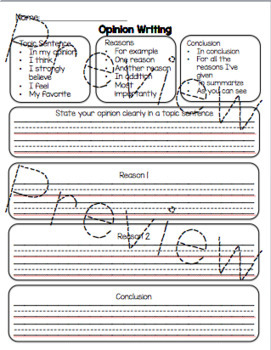 This outline is a helpful guide for your students to use when creating opinion writing. It gives the students sentence starters for each part of their writing (topic sentence, 2 reasons, conclusion). This writing outline goes along with the writing standards that only include 2 reasons for their opinion.